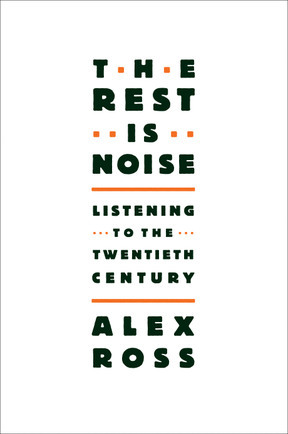 My first book, The Rest Is Noise: Listening to the Twentieth Century, will be published in October 2007 by Farrar, Straus, and Giroux. It is a voyage into the labyrinth of modern music, which remains an obscure and even frightening world for most people. While paintings of Picasso and Jackson Pollock go for a hundred million dollars or more, and lines from T. S. Eliot are quoted on the yearbook pages of alienated teenagers across the land, the twentieth-century repertory onward still sends ripples of unease through audiences. At the same time, its influence can be felt everywhere. Atonal chords crop up in jazz. 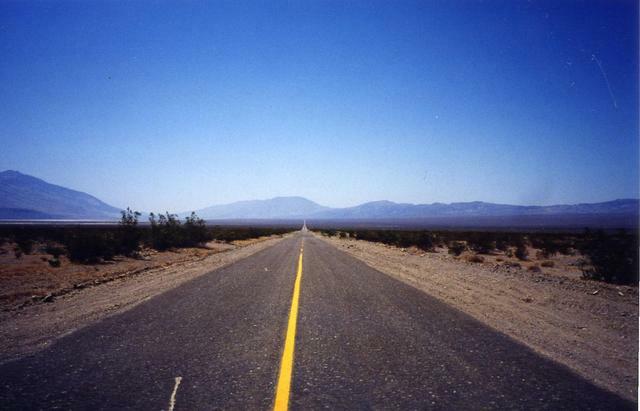 Avant-garde sounds populate the soundtracks of Hollywood thrillers. Minimalist music has had a huge effect on rock, pop, and dance music from the Velvet Underground onward. Stravinsky's Rite of Spring remains the ultimate icon of artistic daring, its rhythms foreshadowing a lowdown-sophisticated pop culture to come. The Rest Is Noise shows why twentieth-century composers felt compelled to create a famously bewildering variety of sounds, from the purest beauty to the purest noise. It tells of a remarkable array of maverick personalities who resisted the cult of the classical past, struggled against the indifference of a wide public, and defied the will of dictators. Whether they have charmed audiences with sweet sounds or battered them with dissonance, composers have always been exuberantly of the present, defying the stereotype of classical music as a dying art. The narrative goes from Vienna before the First World War to Paris in the twenties, from Hitler’s Germany and Stalin’s Russia to downtown New York in the sixties and seventies. We follow the rise of mass culture and mass politics, of dramatic new technologies, of hot and cold wars, of experiments, revolutions, riots, and friendships forged and broken. The end result is not so much a history of twentieth-century music as a history of the twentieth century through its music. When Richard Strauss conducted his opera Salome on May 16, 1906, in the provincial Austrian city of Graz, several leading figures in European music gathered to witness the event. The première of Salome had taken place five months before, in Dresden, and word had got out that Strauss had created something beyond the pale—an ultra-dissonant Biblical spectacle, based on a play by a British degenerate whose name was not mentioned in polite company; a work so frightful in its depiction of adolescent lust that imperial censors had banned it from the Court Opera in Vienna. Giacomo Puccini, the creator of La Bohème and Tosca, made a trip north to hear what “terribly cacophonous thing” his German rival had concocted. Gustav Mahler, the director of the Vienna opera, attended, with his wife, the beautiful and controversial Alma. The bold young composer Arnold Schoenberg arrived from Vienna with his brother-in-law, Alexander von Zemlinsky, and no fewer than six of his pupils. One of them, Alban Berg, traveled with an older friend, who, in a memoir, described the “feverish impatience and boundless excitement” that all felt as the evening approached. The widow of Johann Strauss II, composer of On the Beautiful Blue Danube (and no relation to the composer of Salome), represented old Vienna. Ordinary music-enthusiasts filled out the crowd—“young people from Vienna, with only the vocal score as hand luggage,” Strauss noted. Among them may have been the seventeen-year-old Adolf Hitler, who had just seen Mahler conduct Richard Wagner’s Tristan und Isolde in Vienna, on May 8. Hitler later told Strauss’s son and daughter-in-law that he had borrowed money from relatives to make the trip. There was even a fictional character present—Adrian Leverkühn, the hero of Thomas Mann’s Doctor Faustus, a tale of a composer in league with the devil. The Graz papers carried news from Croatia, where a Serbo-Croat movement was gathering force, and from Russia, where the Tsar was locked in conflict with the country’s first attempt at a democratic parliament. Both stories carried tremors of future chaos — the assassination of Archduke Franz Ferdinand in 1914, the Russian Revolution of 1917. But, for the moment, Europe maintained the facade of civilization. The English Minister of War, Lord Haldane, was quoted as saying that he “knows Germany and loves Germany’s literature and philosophy,” and that he enjoyed reciting passages from Faust. Strauss and Mahler, the titans of Austro-German music, spent the day in the hills above the city, as Alma recounted in her memoirs. A photographer captured them outside the opera house, apparently preparing to set out on their expedition—Strauss smiling in a boater hat, Mahler squinting in the sun. The company visited a waterfall and had lunch in an old inn, where they sat at a plain wooden table. They must have made a strange pair: Strauss, tall and lanky, with a weak chin, a bulbous, balding forehead, strong but sunken eyes; Mahler a full head shorter, a muscular hawk of a man. As the sun began to go down, Mahler became nervous about the time, and he suggested that the party should head back to the Hotel Elefant, where they were staying, in order to prepare for the performance. “They can’t start without me,” Strauss said. “Let ‘em wait.” Mahler replied: “If you won’t go, then I will—and conduct in your place.” Or so Alma claimed. She assumed that Strauss was hiding his anxiety behind a facade of nonchalance. Mahler was forty-six, Strauss forty-one. They were in most respects polar opposites. Mahler was a kaleidoscope of moods—childlike, heaven-storming, despotic, despairing. As he strode from his apartment near the Schwarzenbergplatz to the opera house on the Ringstrasse, cab drivers would whisper to their passengers, “Der Mahler!” Strauss was earthy, self-satisfied, more than a little cynical, a closed book to most observers. The soprano Gemma Bellincioni, who sat next to him at a banquet after the performance in Graz, described him as “a pure kind of German, without poses, without long-winded speeches, little gossip and no inclination to talk about himself and his work, a gaze of steel, an indecipherable expression.” Strauss came from Munich, a backward place in the eyes of sophisticated Viennese such as Gustav and Alma. Alma underlined this impression in her memoirs by rendering Strauss’s dialogue in an exaggerated Bavarian dialect. Not surprisingly, the relationship between the two composers suffered from frequent misunderstandings. Mahler would recoil from unintended slights; Strauss would puzzle over the sudden silences that would ensue. He was still trying to understand Mahler some four decades later, when he read Alma’s memoir and annotated it. “All untrue,” he wrote, next to the description of his behavior in Graz. “Strauss and I tunnel from opposite sides of the mountain,” Mahler said. “One day we shall meet.” Both saw music as a medium of conflict, a battlefield of extremes. They reveled in the monumental sound that a hundred-piece, late-Romantic orchestra could make, yet they undermined its spectacular sonic heroics with moments of instability, impurity, implosion, collapse. The epic narratives of nineteenth-century Romanticism, from Beethoven’s symphonies to Wagner’s music dramas, invariably ended in a blaze of transcendence, of spiritual overcoming. Mahler and Strauss put those narratives into question and sought out other kinds of stories. They recognized the common ground between them, and each worked to support the other’s music. Strauss’s first major act upon becoming President of the Allgemeiner Deutscher Musikverein, or General German Music Association, in 1901, was to program Mahler’s Third Symphony for the festival the following year; indeed, Mahler’s works dominated the Association’s programs for several years running. So much Mahler was played under Strauss’s watch that some critics took to calling the ADMV the Allgemeiner Deutscher Mahlerverein. Others dubbed it the Annual German Carnival of Cacophony. As dusk fell, Mahler and Strauss appeared at the opera house. They had rushed back to town in their chauffeur-driven car. The crowd milling around in the lobby had an air of nervous electricity. The orchestra played a fanfare when Strauss walked up to the podium, and the audience applauded stormily. Then a deathly silence descended, the clarinet played a softly slithering scale, and the curtain went up.